If you are a law student with a passion for social justice, and availability 3-4 sessions per month, get yourself the best present these holidays and apply today! Applicants that are available to interview on 4 February 2018 will be prioritised during this round. 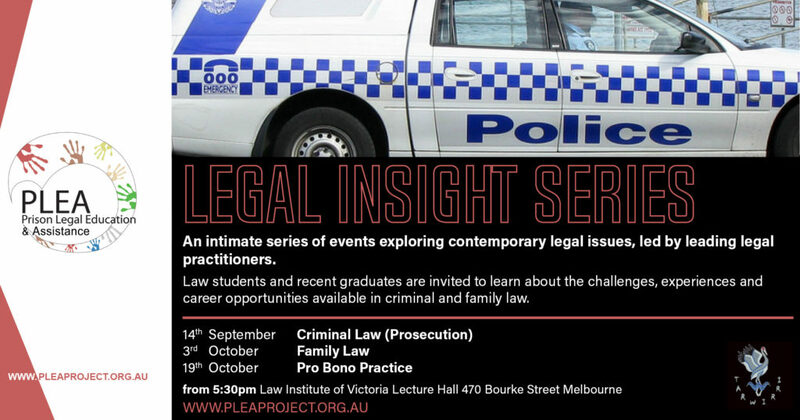 Are you a law student with an interest in social justice and human rights? Ever wondered whether you can pursue those interest whilst working in a commercial firm? 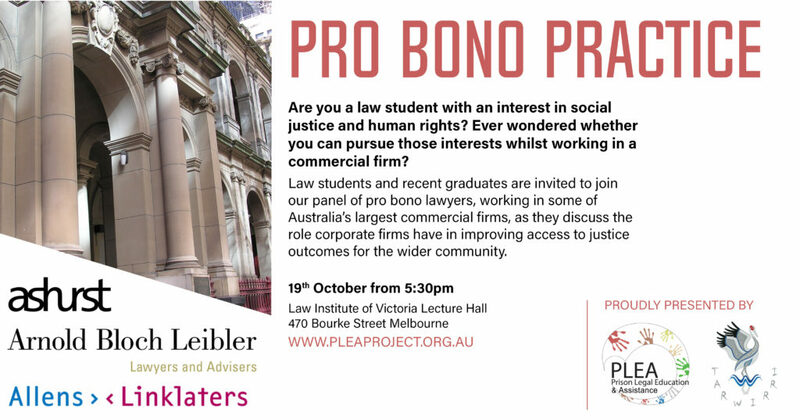 Join our panel of pro bono lawyers, working in some of Australia’s largest commercial firms, as they discuss the role corporate legal firms have in improving access to justice outcomes for the wider community. 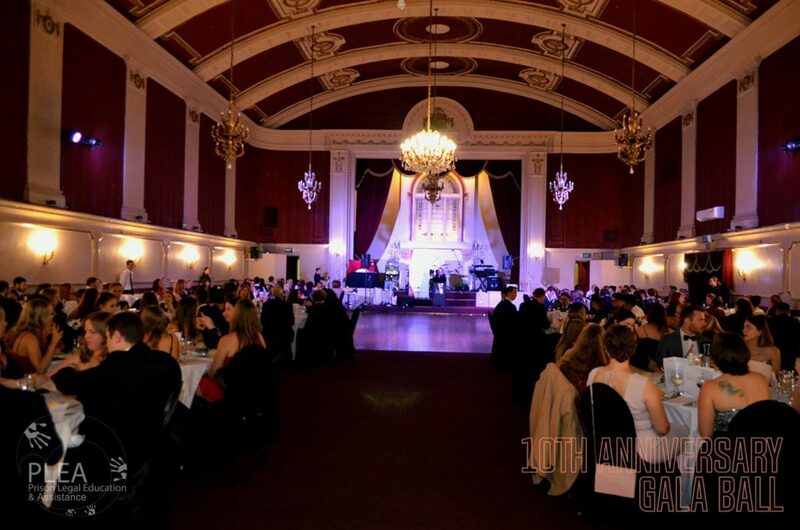 Featuring representatives from Arnold Bloch Leibler, Ashurst and Allens Linklaters this is an event not to be missed. Thank you to everyone that applied to volunteer with PLEA during our August recruitment round! We are very excited by the calibre of candidates and are working through applications. We will be in touch with everyone that applied over the coming weeks. If you are interested in joining PLEA, we’ll be recruiting again soon. You can learn more about volunteer opportunities and submit an application in our volunteer section. Posted in Uncategorized	| Comments Off on August recruitment closes Monday! Following on from our sell out June Insights evening we are very excited to announce our next event exploring migration and refugee law. 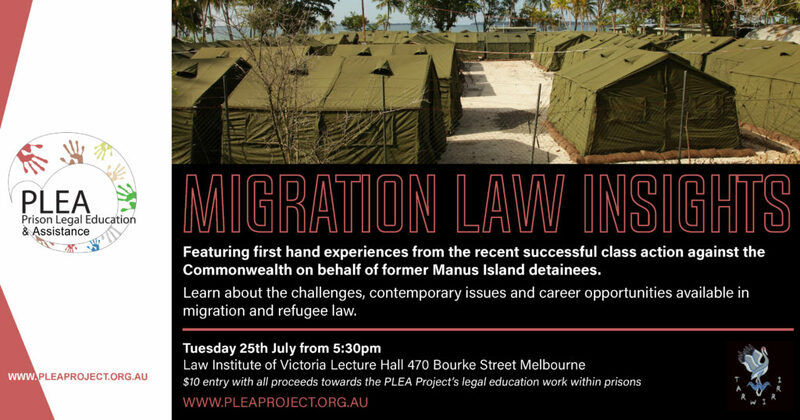 The evening will allow students to explore some of the topics currently at the forefront of migration and refugee law including first hand experiences from the recent successful class action against the Commonwealth on behalf of former Manus Island detainees. Posted in Uncategorized	| Comments Off on PLEA is recruiting!